But at the time, Michalak didn’t know what to make of the strange silver objects, even as one of them landed on a rocky outcropping nearby. “He thought it was some sort of American secret Apollo moon landing thing that got astray,” Rutkowski said. Michalak was perplexed by what he saw, so he walked over and touched the side of the object. It was so hot, it burned his glove. That’s when, rather suddenly, the object shot back into the sky. “Then this thing took off and blasted a hot gas on him, setting his clothes on fire, injuring him and then giving him some burns on his abdomen as well,” Rutkowski said. The perplexing incident has fascinated Manitobans for years. Investigations were carried out by the RCMP, the Canadian Forces and U.S. officials. None have conclusively determined what happened. Regardless, the Falcon Lake incident, as it’s come to be known, has cemented itself in Canadian lore for 51 years. So it seemed only natural to immortalize the event in a collectable coin, said Allison Crawford, a spokesperson for the Mint. “The Royal Canadian Mint is known for having polar bears and maple leaves and beautiful natural settings on coins, but we also do a lot of coins that reflect Canada’s culture. 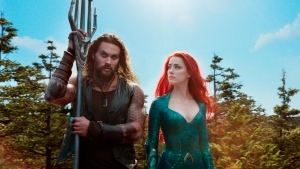 And some of our best Canadian stories are actually supernatural stories,” she said, citing the Ogopogo in Lake Okanagan and Quebec’s werewolf-like loup-garou. The coin has a $20 value but retails for $129.95. Made from pure silver, the one-ounce coin comes with a black light that, when shone on the oblong currency, reveals the yellowish blast that burned Michalak. Only 4,000 of the coins will be produced, making the currency highly collectible, Crawford said. 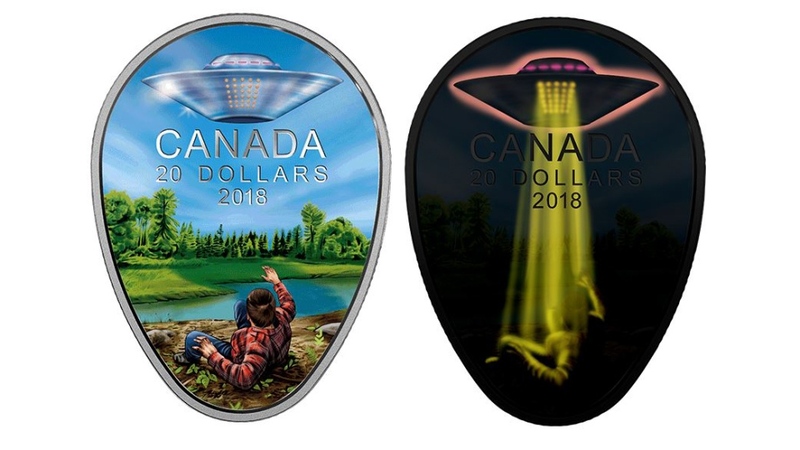 The unusual coin has drawn new attention to an unusual incident that, for believers, represents a significant moment in Canadian UFO history. “It’s an interesting case, because you have physical evidence as well as the witness’ story,” Rutkowski said. Five months after the Falcon Lake incident, residents of Shag Harbour, N.S. watched as an 18-metre wide, saucer-shaped aircraft fell from the sky and crashed into the water. Before officials could reach it, the craft either submerged or disappeared.